Have you had this experience? Yesterday I took a walk around a pond in the sunshine. I have not been able to walk a lot recently-- foot and back pain have kept me close to home for a couple of weeks. While I appreciated in many ways the time to focus on self-care and enjoy my home, I feel a little bored. So on my short walk yesterday, it seemed that everything was in technicolor, everything stood out in its way. The sun dazzled my eyes as it reflected on the water. The shade of the trees and the warm sun led to sudden contrasts in the temperature of the air. From time to time, I felt currents of wind move across my face. 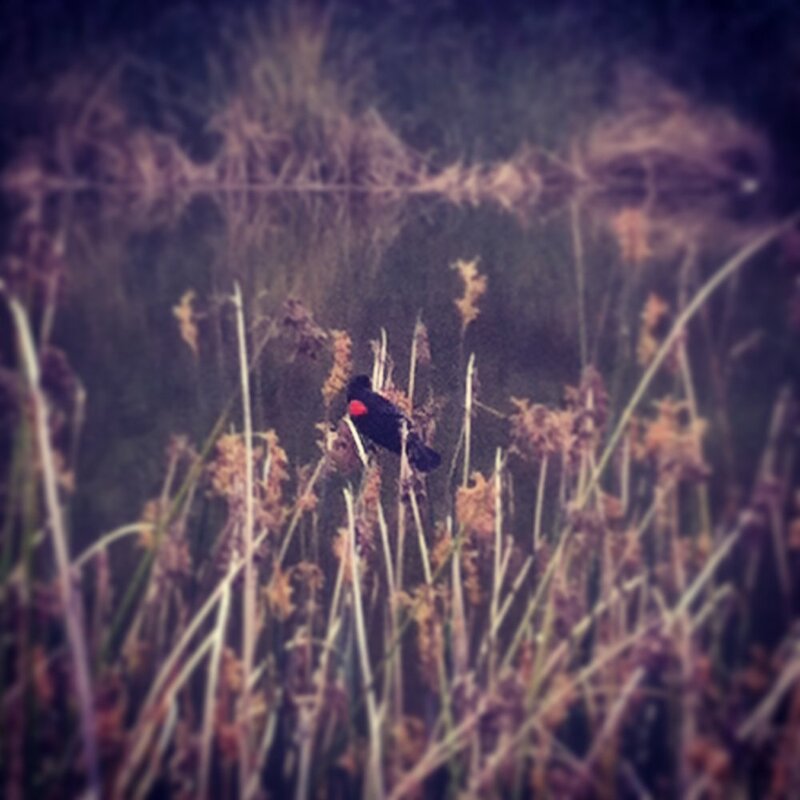 Birds are somewhat of a new occurrence in my field of awareness. By the pond or by the ocean, there are so many different bird species, and I have grown more curious about what they are. A couple of months ago, I got an app for identifying birds, and this little tool has made me even more mindful of the birds that cross my path...or whose paths I cross. In order to successfully identify a bird, I need to pay close attention to every part of it that I can see and hear. It often happens that I look at a bird so closely, thinking that I have it memorized, and as soon as I look away I have no idea what color its beak is, for example. My observation needs to get more detailed. I am enjoying building up my list of the birds in my neighborhood. Yesterday, I identified a pied-billed grebe on the pond. I also saw American coots, mallard ducks, ruddy ducks, red-winged blackbirds, a double-crested cormorant, a crow, and a Western scrub jay. In observing and identifying these birds that are my neighbors, I feel much more deeply in touch with my surroundings. 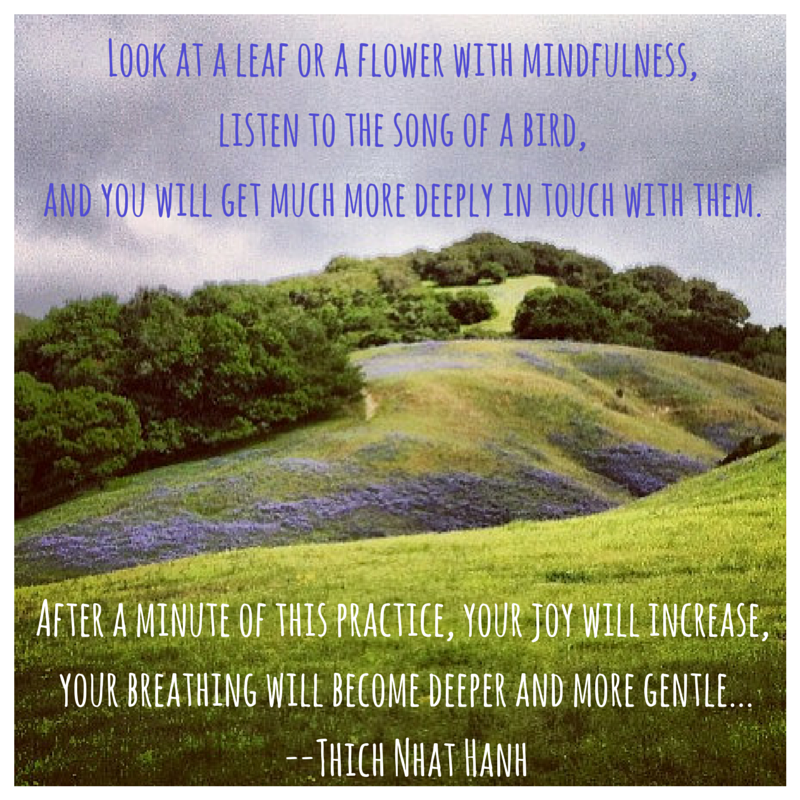 Coming back to the quote by Thich Nhat Hanh, what I focus on is the part about joy increasing. I wrote recently about what it takes to flourish, and it is the accumulation of many moments and opportunities to seize and savor this joy. I hope to walk again today after work and see what birds I share the evening with.